(L-R): Dermot Usher, Owner of SONAS Bathrooms; Celene Duffy, Sponsorship & Events Business Development, INM; Richard Sloan, MD of SONAS Bathrooms. 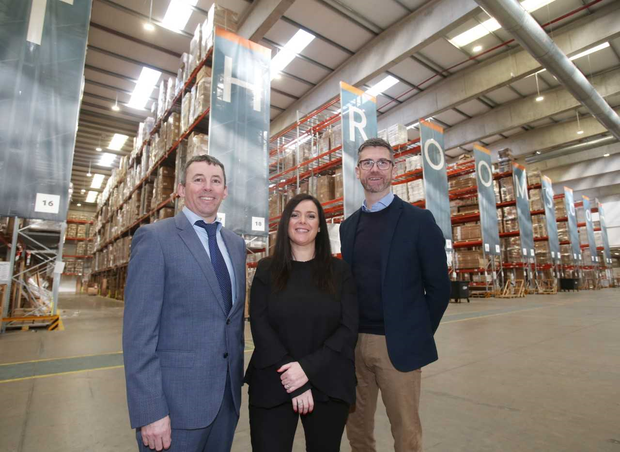 IRISH company Sonas Bathrooms has become the headline sponsor of house, the homes and interior design expo, for the next two years. Sonas also announced record sales of €33m for 2018, which followed an investment from MML Capital Partners in 2017. House 2019 takes place at the RDS, Dublin, May 24-26. It is a joint venture between Eventhaus and Independent News & Media.